No muss, no fuss!! 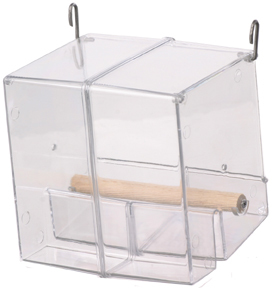 Keep your seed corralled with this handy seed corral designed for the smaller and mid-sized beaks (Amazons, Greys and like-sized parrots) in your life! Dishwasher safe. 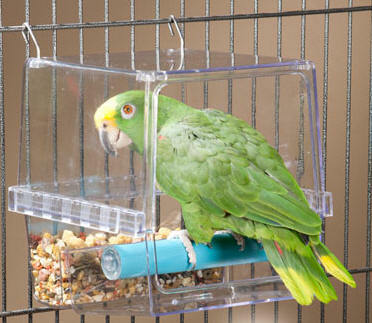 To wash, remove feeder from cage, empty out contents, and wash thoroughly in warm soapy water, or place in dishwasher. Use a small soft-bristle brush, if necessary, to remove dried-on messes. Rinse thoroughly and dry completely before placing back in the cage.